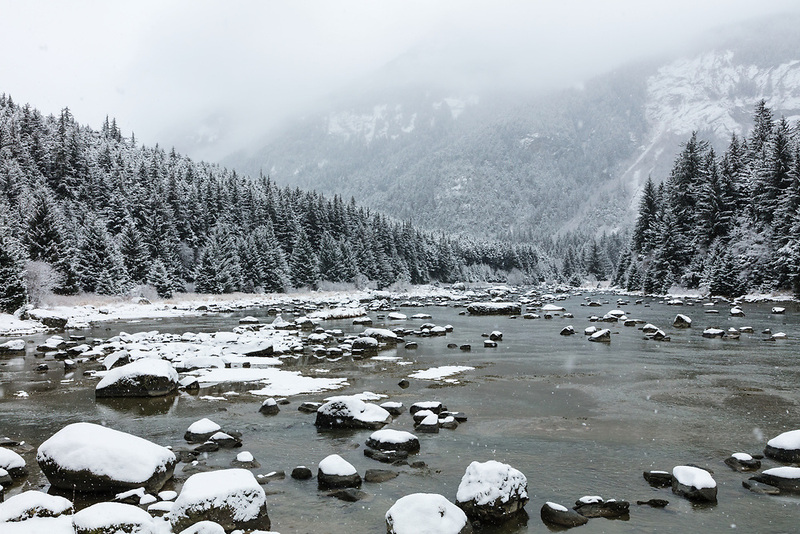 Snow falling on the Chilkoot River in Southeast Alaska. Winter. Afternoon.